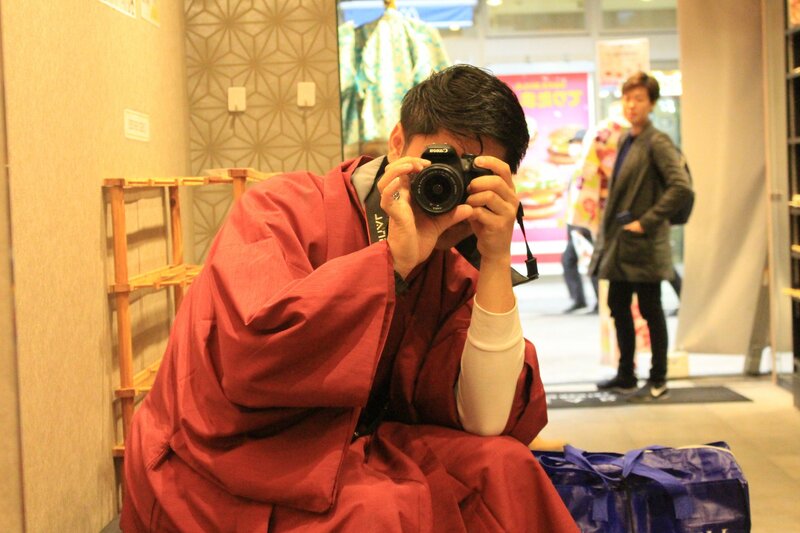 One of the things I have always wanted to try in Tokyo is to wear Kimono. I have been in Japan for over a year, but I haven’t worn that famous and gorgeous Japanese garment. 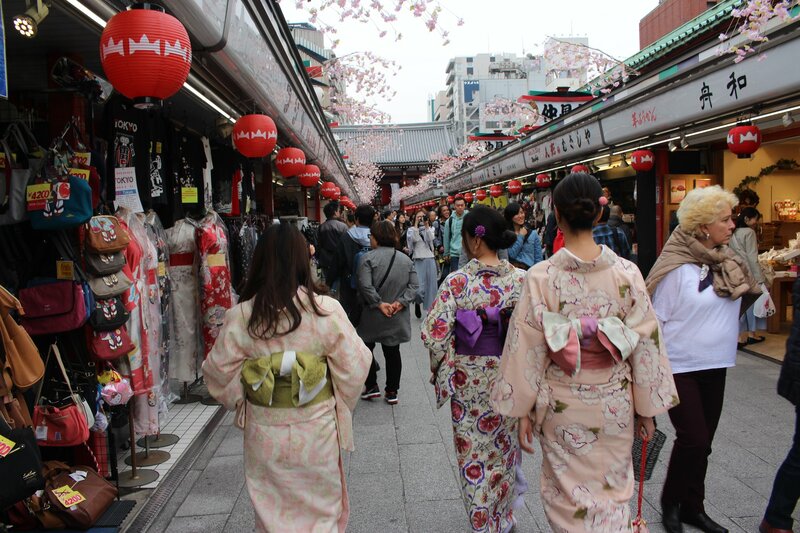 Foreigners find Kimono glamourous and for me, wearing Kimono is a must experience in Japan. So, I was elated when our team (SUE) won the top prize as the best team and LIG sponsored our trip to Asakusa. 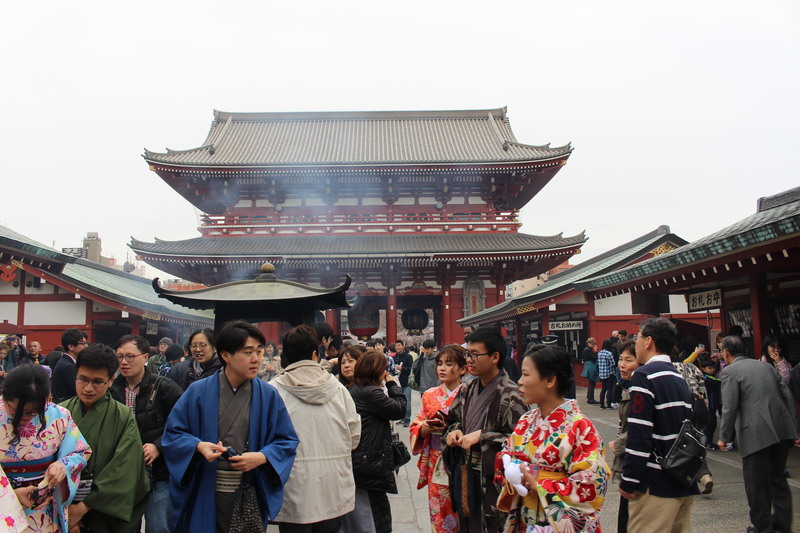 If Kyoto has Kiyomizu temple, Tokyo has Senjo Temple in Asakusa. Senjo Temple is the oldest and the most famous temple in the metropolitan. As soon as I arrived in Asakusa, my sickness vanished. I was sorry to the ladies for being late, though. Fortunately, the ladies are nice that they understood my condition. We immediately got into Vasara Kimono rental shop. There are a lot of rental shops around Asakusa. Vasara Kimono Rental is very accessible from Ginza line exit 6. The shop was packed with people, Japanese and foreigners. Those that were wearing Kimonos looked fantastic. We went to the third floor where all types of Kimonos are displayed. The prices are shown on top of each group. Men’s are way cheaper than the women’s. Being the only man in the group, it was quick to pick my choice. For the first time, I wore Kimono. How do I look? “The staff said, “Yoku niatteru ne! Going to the temple through Nakamise Dori adds ingredients to your visit. 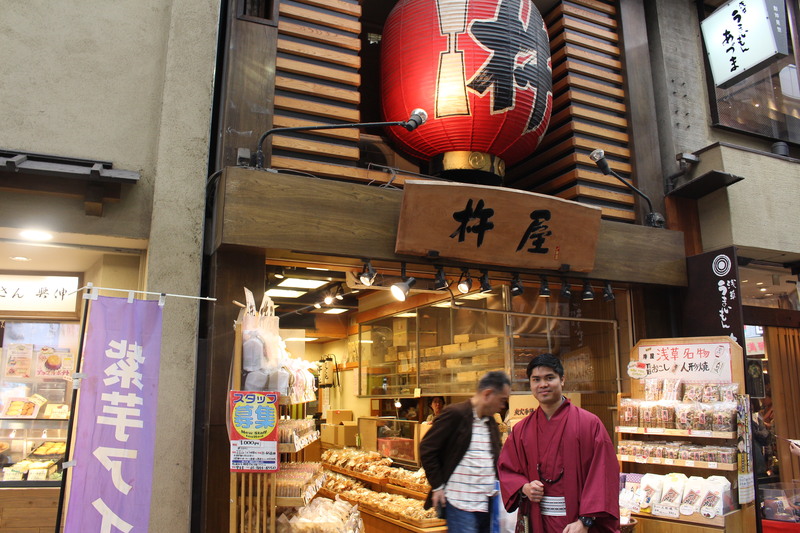 Nakamise Dori is a long path to the temple and a shopping street with various kinds of food and souvenirs. You can see huge crowds of people going to and coming from the temple. 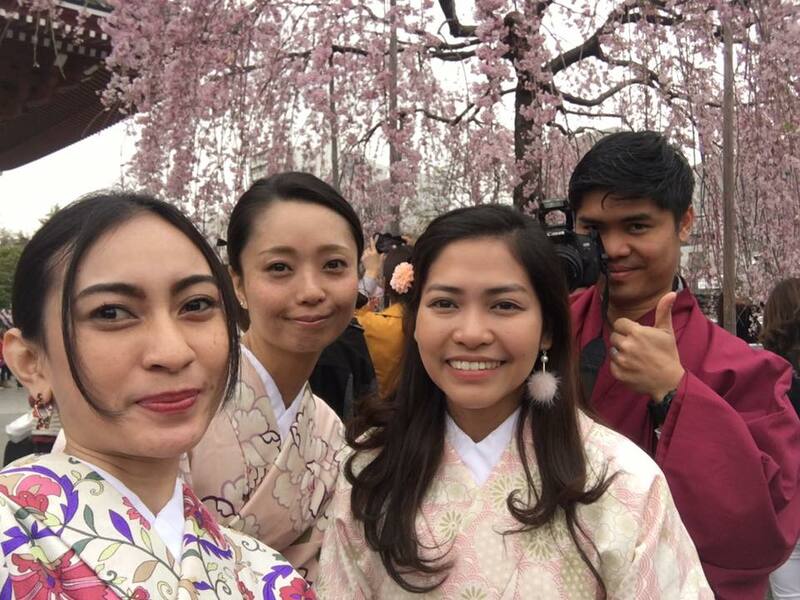 Some people are in Kimono and they look gorgeous while others are busy picking food and souvenirs. 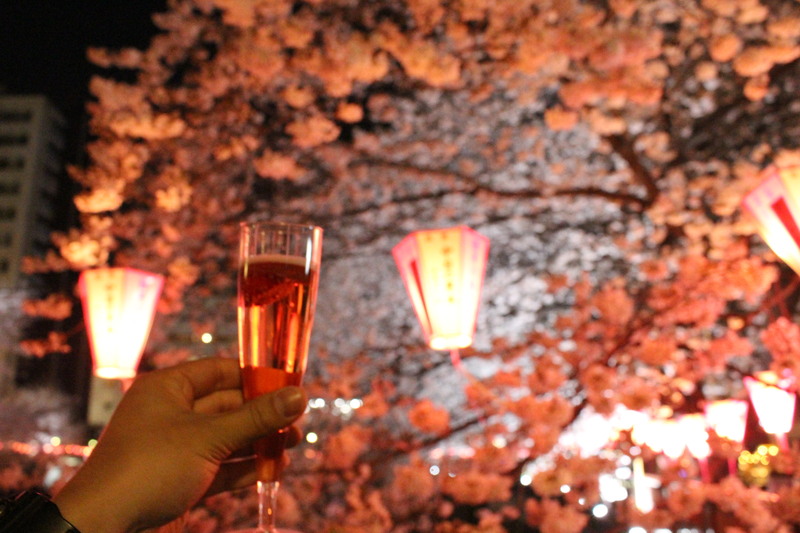 Another thing that people are crazy about in Asakusa is the cherry blossom trees. In spring, the cherry blossoms bloom but the thing is the flowers bloom only at certain time of the season. Fortunately, the flowers had already started blooming when we got there. 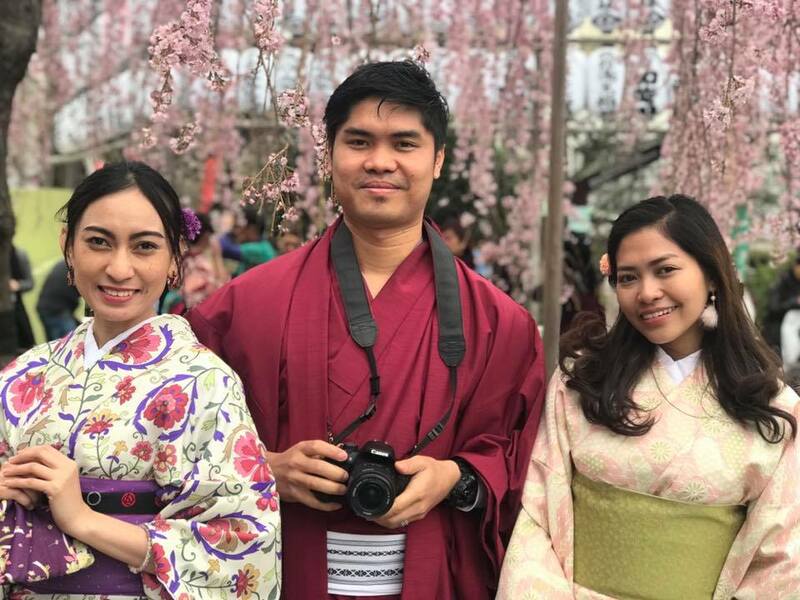 The beauty of Kimono and cherry blossoms were just incredibly gorgeous. I felt better but I had to go to see a doctor later on the trip. Fortunately, there was a clinic near Asakusa. I got the medication and I am doing fine now. I am not feeling under the weather anymore and I am enjoying the beauty of spring. Kanpai spring! Copyright © MeRISE Co.Ltd All rights reserved.